Not all moths fly, which is why glue bands and tree barrier glues are very effective measures against destructive caterpillars in Europe and part of the USA. 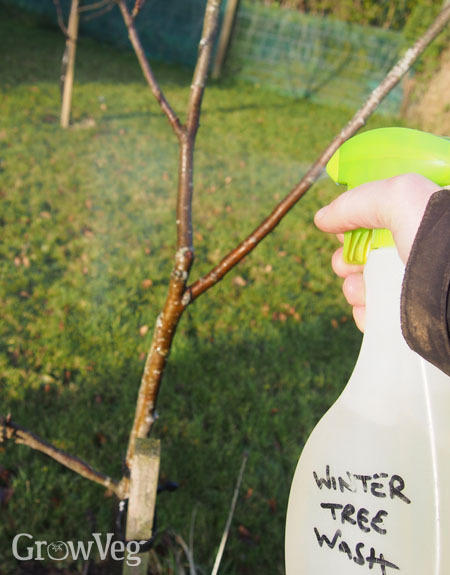 The caterpillars of winter moth are often the culprit behind holey leaves on plums, apples and other trees in spring. They will also damage developing fruits, so that they either drop while still immature, or grow misshapen, scarred and sometimes holed.